When it comes to choosing a money clip, you will have to consider two factors – function and fashion. It is also good to go for the money clip offering the two, but one that is not complicated. The simplest clips are pieces of metal that come at varying quality. 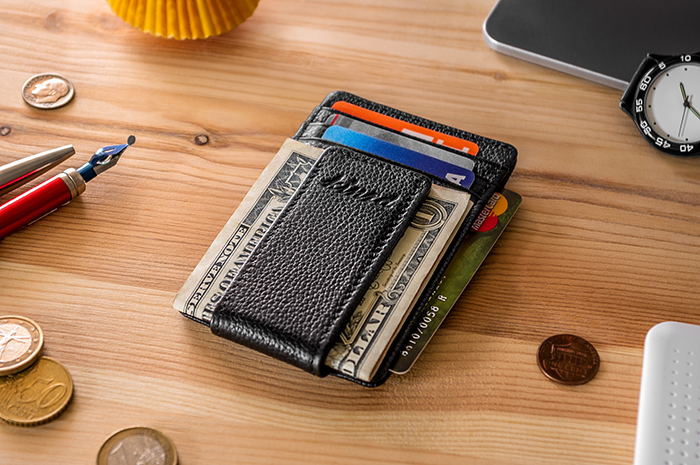 Clips such as the Kinzd money clip wallet are a better alternative to wallets because they will hold together many cards and bills and they are a small fraction of the weight and size of regular wallets. In fact, they are light and more effective than what most people call the minimalist wallets. Here are the three types of money clips to expect in the market today. The classic clip measures 5 cm length and 1.5 cm in width. It can wrap a half dozen of nicely folded bills. The manufacturers use metals like silver, titanium, gold, platinum and the basic stainless steel and nickel to make the classic clip. Titanium and gold metals are expensive. Therefore, if you need an inexpensive classic clip, you will have to stick to the stainless steel or nickel materials. Most clips come as a bent metal, but some will come with a smaller hinge. The hinge is a plus because it will allow you to insert cards and IDs into the clip easily. Even though people call them magnetic clips, you should know that the clips are not magnetic. The manufacturers sew a magnet into each end of the money clip. As a result, there is no need for the plier-like grip because the magnets will hold the bills in place. Mostly, you will find the magnets stitched into leather stripes, which are usually wider than metal stripes used to make the classic clips. Unlike the classic clips, which remain in the back, people will see your magnetic clip as a gadget that you use to hold your bills and documents together. The money clips are heavier than the classic clips but offer a larger capacity for carrying money and cards. They carry twice the amount of bills you can carry with the classic clip. The leather is natural too. Also known as hybrid clips, the wallet clips come with credit card holders. With the clip, you will keep your credit cards and IDs separate from the bills. In other words, the wallet clips come with genuine slots to hold the cards and IDs. Moreover, these clips are available in numerous designs, with the commonest being the two-sided clips that come with regular money clips and card slots – each on its side. The manufacturers use leather to make the card compartment and either metal or plastic to make the clip. In addition to the case-based wallet clips, the market offers another version of clips known as the minimalist wallet clips that you can find on Carrywallet. The version of money clips come with a cardholder and a clip in addition to a small case between them. Most of the money clips will come with three compartments to allow the simultaneous carrying of credit cards, cash, and other cards. If you choose to go the money clip way, you will have to forget about some features, associated with the regular wallets. You will not have the pieces of paper to write important phone numbers or compartments to hold photos and coins. On the other side, you will be able to focus on the essential documents and forget about the unnecessary stuff. At last, find the best wallet deals on dealsreddit.